This page contains the information on the Quickflix Subscription prize in Macca’s Monopoly New Zealand 2016! It’s available in 3 month and 6 month prizes. 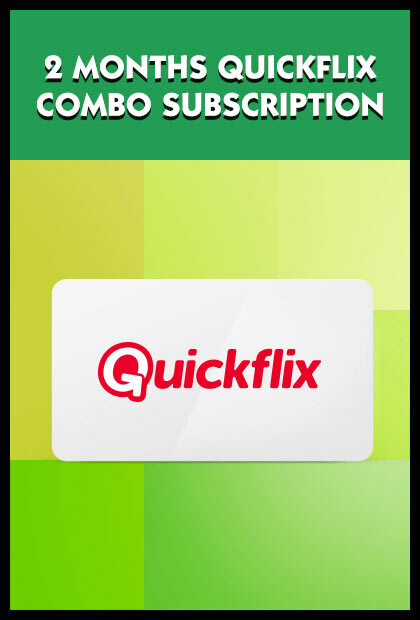 Each 3 or 6 months of Quickflix Streaming and one Premium Movie Credit per month prize comprises of one (1) 2 or 6 month subscription to Quickflix and one (1) Premium Movie Credit per month for two (2) or six (6) months, valued at up to $19.98 or $59.94. The Promotional Partner for the 6 Months of Quickflix Streaming and one Premium Movie Credit per month prize is Quickflix Limited. No ongoing subscription commitment, however credit card details must be provided at time of sign up for any ongoing direct debit subscription payments. Ongoing subscription fees apply unless the winner cancels their subscription before the end of a subscribed months.